We found 37 properties on the market matching your criteria. Enjoy Retirement Living At Its Finest. Parkland On The Glen Is Renowned For Excellence In Independent Living. Enjoy Preparing Your Own Meals In Suite, Or Choose Either To Dine At The Bistro Or The Restaurant With Executive Chef Prepared Meals. A Full Social Calendar Awaits That Includes Exercise Classes, Card Games, Concerts, Group Outings And Movies And More. Underground Parking Or Take Advantage Of The Chauffeur Service. *Penthouse Suite* Absolute 'Showstopper'* Sunset, Panoramic Views From 2 Balcony's* Unparalleled Value For This 3 Bdrm, 2 Bath, Completely Renovated W/ Designer Quality Materials And Decor!! ** Newer Windows** You Won't Believe Your Eyes! !, Ss/Apps!! 1 Undrg. Pkg Plus 1 Above (Rental), Ensuite Storage Locker, Modern, Bright And Spacious!! Live In Absolute World. Luxury Condominium Located In The Heart Of Mississauga*Spacious Layout Bright 1 Bedrm+Den(Converted To Second Bedrm )*2 Washrooms With A Lot Of Upgrades*Enjoy Breathtaking View. Elegant Kitchen W/Highend Cabinets & Granite Countertop*The Best Facilities (30000 Sq/Feet), High Security, Walking Distance To Square One, Shopping Centre, Public Transportation, Highway & Much More. Renovated Corner Suite At The Parkview. This Unit Offers A Spacious Floorplan With The Dining Room Overlooking The Sunken Living Room. The Bright Kitchen Features Elegant Cabinets, New Sink, Granite & S/S Appliances. Master Bedroom Offers A Walk In Closet And Ensuite Powder Room. Enjoy The Morning Sunrise With East And South Views From The Spacious Balcony. Additional Upgrades Include: Flooring, Light Fixtures, Doors, Crown Moulding, Baseboards, Bathrooms. Looking For Space? This Lovely 3 Bedroom Condo Has It! Approx.1325 S.F.Located In A Great Building With All Apartment Level Hallways & 2 Lobbies Currently Being Beautifully Renovated!! 3 Large Bedrooms. Large Storage Rm In Unit & Also On Parking Level! Bus Service At The Door. Walk To Parks & Creek, Miss. Valley Community Cntr, Tennis Courts. 24Hr Super Market & Drug Mart Across Street. Mins.To Square One, Hwys 403 & Qew! Welcome To Your Home In The Heart Of Mississauga! Enjoy The City Centre's Entertainment District Just A Five Minute Walk Away, Where You Will Find Square One Shopping Center, Restaurants, A Movie Theatre, And So Much More! Then Come Home To Your Bright, Spacious Condo, Where You Will Be Greeted By The Warmth Of Hardwood Floors, 9Ft Ceilings, And Your Walkout Balcony Overlooking The Entertainment District And The City's Iconic Marilyn Monroe Towers! Welcome To The Park 570 Building Nestled In The Very Desirable Mississauga Valley. This Fantastic Top Floor Unit With A South View Is Surrounded By Parks And Greenery. Step Into The Foyer And Immediately Notice The 9 Foot Ceilings And An Open Concept Floor Plan Which Leads You Into A Modern Living Area With Two Spacious Bedrooms Attached. Walk Out Onto Your Own Private Terrace With A Built In Gas Hookup For Your Barbecue. Close To Parks And Transit. Gorgeous Updated 2 Storey Loft Offers Breathtaking Views Of The City Day Or Night. Spacious Open Concept Main Floor, Renovated Kitchen W/ Granite Counters, Under-Mounted Sink, Modern Backsplash, Under Cabinet Lighting,S/S Appliances & Extended Breakfast Bar. Large Master, Laminate Flooring Throughout, 2 Private Balconies (Off Living Rm & Master Br). Den Can Be Used As A 2nd Bedroom. Great Location, Walk To Everything! Offering An Opportunity To Live Right In The Heart Of Mississauga. Bright, Spacious,Open Concept Loft With A Desirable Layout! Designer Upgrades, 18 Ft Ceiling. Stunning Floor To Ceiling Windows. Endless Closet Space. Huge Balcony. Close To Highways, Transit,Walking Distance To Square One Mall, Celebration Square, Library,Sheridan College & Much More! Enjoy Free Shuttle Bus To Cooksville Go. All Utilities Included. Excellent Building Amenities. One Of The Best Deals In The City! Priced At Under $515,000 This Highly Maintained & Super Clean Home Could Be Yours If You Act Quick. This 2 Story Townhome Comes With 3 Good Size Bedrooms, 3 Washrooms A Beautiful White Kitchen, A Bright Living Room With Walk Out To Private Fenced Backyard & A Cozy Dining Room By The Fireplace. Conveniently Located Within Walking Distance Of Clarkson Go Station Schools & Other Amenities. Welcome To Mississauga Square Residences. Located In The Heart Of Mississauga. This Beautiful And Open Concept Suite Features 2 Large Bedrooms And Two Full Bathrooms. Nine Feet Smooth Ceiling, High End Laminate Floorings, Large Balcony, West Exposure With Lots Of Sunlight Shines Through. S/S Appliances, Quartz Kitchen Countertops, Individually Controlled Heating And Ac And Much More. Near Square One, Schools, Parks, Public Transit And Future Hurontario Lrt. Bright Updated Lovely 3+1 Bedrooms Corner End Unit Townhome , Renovated Throughout. Stainless Steel Appliances And Quartz Countertops.New Kitchen , Freshly Painted And New Bathroom, Spacious Design Allows For Function As Well As Comfort. . . Well Maintained Complex Steps To Meadowvale Town Center, Parks, Schools, Shops, Community Center And Go Transit. And Hwy's . Low Fees. Gorgeous South East View From 22nd Floor! Spacious, Bright Condo Unit With New Fully Renovated From Bottom To Up. Hardwood Flooring Laying Through, 2B+1D Layout With 2 Full New Bath. Lovely New Kitchen Features W/S/S Appliances & Granite Counters, Custom Backsplash And Cabinet, Pot Lights. Steps To Square One, Celebration Square, Library, Public Transport. Don't Miss It!  Beautiful & Extensively Upgraded End Unit Town House At Great Location! Upgraded Kitchen W/Extended Cabinets, Under Cupboard Lights, Ceramic Backsplash, Potlights, & Light Fixtures. Beautiful Crown Moulding, French Door Entry To Rec Rm, Mirrored Closets In Bdrms & Front Hall. New Beautiful Oak Stairs. Freshly Painted, Upgraded Laminate Floors All Over, No Carpet, Don't Miss This One..!! Beautiful Home In A Great Complex With Low Maintenance Fees, 3 Nice Size Bedrooms, Eat-In Kitchen With Walk-Out To Backyard, Large Open Living And Dining Room Combination, Recreation Room With Above Ground Windows. Walking Distance To Clarkson Go Station, All Levels Of School, Shopping, Community Center. Minutes Drive To Qew. This Home Is A Must To See!!!! Fantastic Open Concept Floor Plan W/ Bright & Generous Sized Rooms, Main Flr W/ Large Windows & W/O To Backyard, 2nd Flr W/ New Broadloom Flooring & Large Bright Bedrooms. Newer Washrooms W/ Custom Cabinets, Backyard W/ New No Maintenance Pvc Decking & Cotton Canvas Awing, New Plumbing, Updated Copper Wiring W/ Circuit Breakers, Dbl Insulation In Attic - Close To School, Shopping Mall, Library, Community Ctr, Bus Service, 427 & Go Train. Good Opportunity For An Investor. 2 Bdrm, 2 Full Washroom, Beautiful Modern Kitchen, Quartz Counters, Unobstructed View, Spacious Living/Dining Room With W/O To Huge Balcony, Walking Distance To Credit Valley Hospital, Erin Mills Town Centre, Walmart, Restaurants, Public Transit At Your Door Step, Minutes From Hwy 403 And Go. Top Ranked School, John Fraser And St.Aloysius Gonzaga. Seller's Willing To Stay And Can Sign Long Term Lease. 3 Bedroom 2 Full Bathrooms With Finished Basement Well Maintained Townhouse Backing Onto Greenspace. Hardwood Floors Throughout Main Level.New Stainless Steel Stove In Large Eat In Kitchen With Ceramic Floors And Breakfast Bar.Open Concept Combined Liv/Din Room With W/O To Private Yard.Master With Semi Ensuite And His/Hers Closet.Finished Basement With 3Pc Bath.Close To Schools,Shopping And Transport.Showings Anytime. and would like to know how much it can sell for? in your desired area as soon as they hit the market! downsizing, or looking to upgrade to bigger and better? GTAHomesByGary.com offers powerful real estate tools for people looking to sell or buy Mississauga real estate, Oakville real estate, Etobicoke real estate, Toronto real estate, and the GTA real estate. This real estate website allows you to search the MLS for Mississauga, Oakville, Etobicoke, Toronto, and the GTA, Canada homes for sale, access Canada real estate and community information and learn about home sale trends in Mississauga, Oakville, Etobicoke, Toronto, and the GTA, Canada.